As you know, I am not a promoter, and I don’t believe everything is for everyone, and I don’t even quite know what we’ve got here. 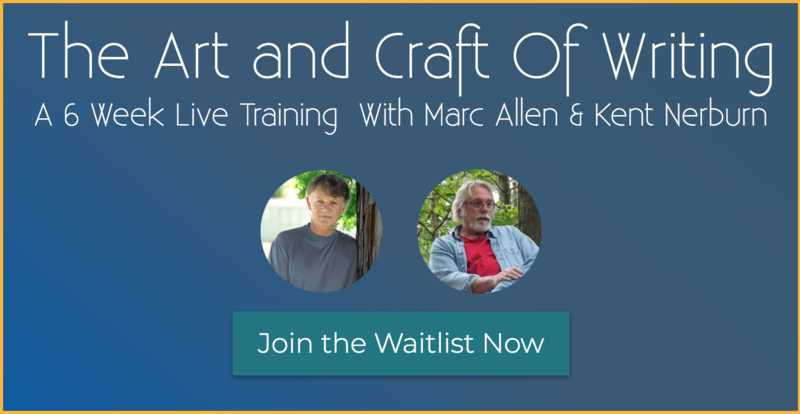 But my old friend, author, and publisher of New World Library, Marc Allen, and I have decided to give a seminar on the art and craft of writing. What fascinates me here is that you would never have two such disparate eyes and voices looking at the writer’s craft. Because Marc and I go back almost to childhood, our divergent visions reflect an understanding and respect that is almost like that of brothers. As an editor Marc has pulled wonderful works out of me – The “Dan” trilogy, Letters to My Son, Small Graces, Simple Truths, and almost all my significant works. He has a discerning eye and a gentle touch, and sees light and possibility where I see shadow and nuance. In this seminar you will see the writing life and the writer’s craft from two distinctly different points of view. I have never done anything like this before, and am excited to see what comes from it. If you are excited as well, consider signing up. I think you will have to go to the actual sign up page, You will need to put your name on the waitlist to get the particulars, but it obligates you to nothing. Give it a look. Would this be appropriate for a 14 year old who believes she’d like to be a writer? I think so. I can’t say for certain, because I’m not sure what Marc is doing. (By the way, Dale would know Marc as Mark Donicht, an old classmate of ours.) I would wait until we get a little more information out there. But I’m thinking it might be very helpful. I know I intend to talk about some of the inner issues of writing, like knowing when to consider a work finished and how to deal with fear of failure and the experience of rejection. These are surely issues an aspiring writer would benefit from hearing. I had a fascinating discussion with some people here at New World Library about whether this course would be appropriate for a 14-year-old. I think that just about everything I have to say would be perfectly understandable… but I’m not sure about Kent. He sometimes talks like the PhD-type guy that he is (he’s always talked that way, even at 12 or 13 when I first met him). So, here’s what I’d suggest: She should go ahead and take it, and if she’s not happy with it, for any reason at all, we’ll gladly refund her money. How does that sound?